Q: Do you accept donations of fresh food? A: Yes but we have limited storage. Please do not leave fresh food at our donation stations, as collection times vary and we don't want to waste your kindness. Local allotment holders do donate excess vegetables in season. It is best to donate fresh foods during our opening hours which can be found on our contact page. Q: I cannot volunteer regularly but want to help. Is there anything I can do? If you're not sure when you might be able to volunteer simply sign up and choose the times best for you or just 'Flexible' so you receive all the relevant volunteering opportunities. You can sign up here. You can also help us by making a regular cash donation or joining us on Twitter and Facebook so that our support can grow. Fantastic news! Sign up here or email our Volunteer Coordinator using coord@eatorheat.org to ask questions or find out more information. Q: How do I make a large donation and have it delivered? The best way to make a large donation to the foodbank is by placing an order online. You can choose any local supermarket such as Tescos, Sainsburys, Asda, Ocado and more. Please contact us before making any order to find out what we need and when best to arrange a delivery. 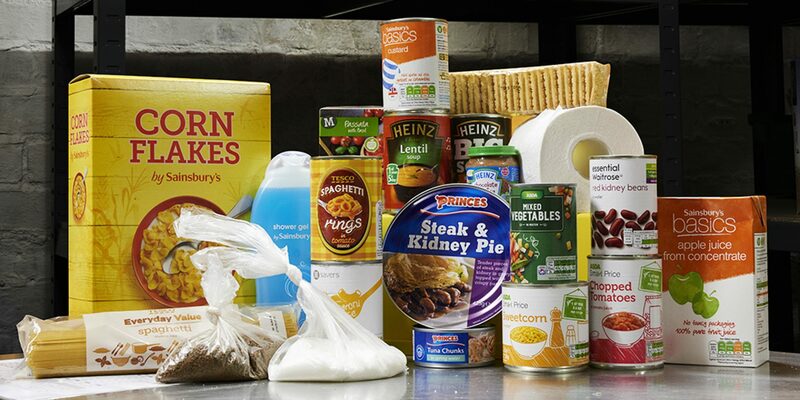 If you have a large donation that needs collecting and bringing to the foodbank please contact us and we will arrange a collection from you by our volunteers.